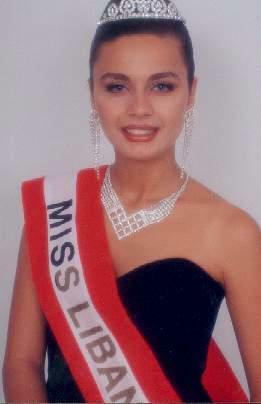 Welcome to our Miss Lebanon 1995 Dina Azar section from here you can click on your desired Miss Lebanon 1995 Dina Azar image and use the Miss Lebanon 1995 Dina Azar picture embed code to add to your blogs, forums, websites and other online media. The embed code contains all necessary CC attribution, that are mandatory to include, so you don't need to contribute the image authors manually. If you want, you can customize your Miss Lebanon 1995 Dina Azar embed code: resize the Miss Lebanon 1995 Dina Azar image as well as select the position in which you would like it to appear on in your article. It's then simply a case of copying the short code and pasting the Miss Lebanon 1995 Dina Azar code into your post. 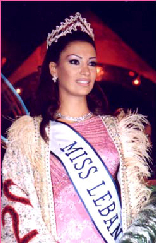 Dina Azar ( Arabic : دينا عازار) (born June 27, 1973) is a Lebanese beauty queen who was elected Miss Lebanon 1995.